It is “for freedom that you have been set free”. Perhaps you have professed faith in the work Christ has done on your behalf and how you have been set free from the penalty of sin. But what about freedom from your soul wounds? I’ve learned this past year that our spirits can be saved and secure but our souls (will, emotions, and thoughts) can be bound up in pain and shame. Our minds can be filled with lies that influence our emotions and our actions. All this can be happening while believing in Jesus and accepting His free gift of salvation. Christ came to free us from what entangles us. To heal our brokenness. To bring us out of hiding. To repaint all those hurtful memories. To restore us to full intimacy with Him. My hope? That today’s podcast will begin to set a few ladies who listen free. If you feel a wall between all God has to offer and what you are receiving, then I pray that wall will be smashed to smithereens. Please welcome, Francie Winslow, to the podcast today. She reminds us that Christ came to heal the brokenhearted, which includes the most devout believers. Even in the midst of serving others we can be a mess and in need of the freedom He offers. She also gives tips on how to free our children from lies they believe and how to lead them to the truth found in God’s word. 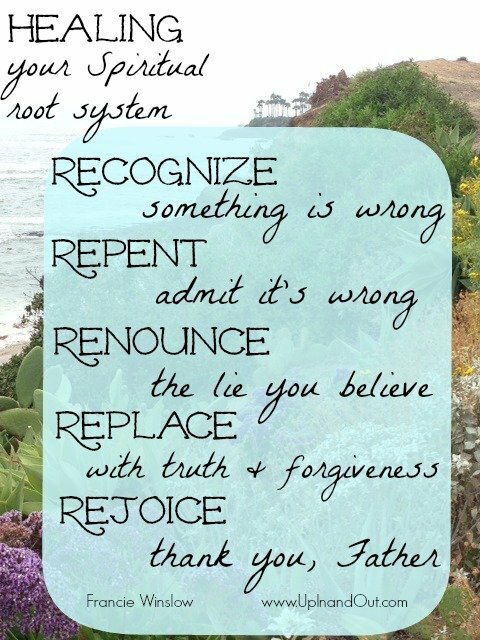 Lastly I have a printable I’ve made of the 5 steps Francie mentions for healing your spiritual “root system”. Click here for a PDF version of the picture below. If you have any questions for Francie, please comment below (or if reading via email click here). I am a mom to four- 3 girls ages 14, 12 and 9 and a 5 year old little boy (our prince). 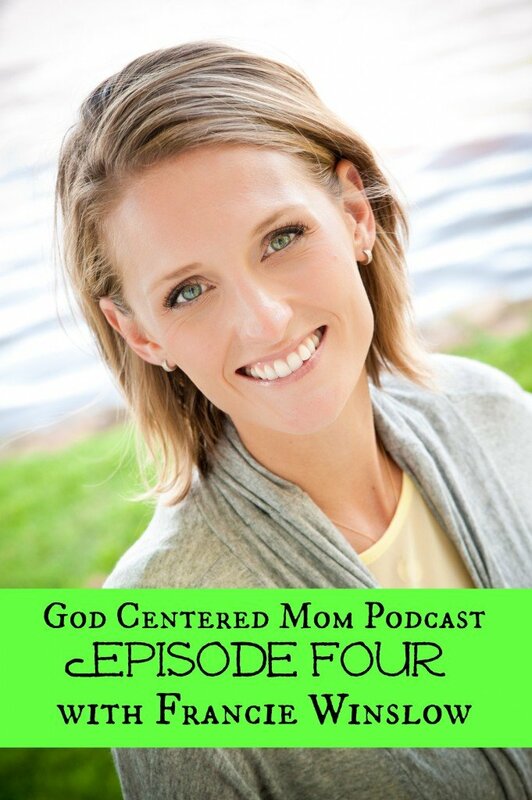 A dear friend shared your podcast with me earlier this summer. I am addicted. I have shared it with no less than a dozen women. Basically every opportunity I have to share, I do. Your topics are so relevant and practical and I especially appreciate your desire to make sure we as moms don’t feel there’s “one more thing” we need to be doing in order to really be mothering well. Your words are gracious and your vulnerability adds authenticity to your messages. I absolutely love you! So proud of you for taking July off for some sabbatical rest. God has had me in a real quiet season for the past few months–working in my heart to heal me and set me free from a life of anxiety and perfectionism and people-pleasing. And this episode helped me to get on my knees and hear God speaking beautiful truth into roots of lies in my past. And I just feel so empowered to stand up and start walking again. Thank you so much for your incredible ministry. Thank you, Heather and Francie, for breathing His life and truth into my soul. What a gift.